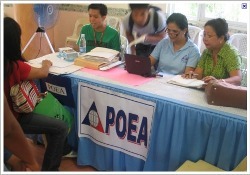 Hello and welcome to our webpage on POEA Jobs. Here, what our users can expect is to find employment vacancies from top rated licensed recruitment agencies in the Philippines as well as abroad. We offer a database of local positions as well as work overseas for Pinoys, OFWs and qualified applicants. For your reference, please see our sidebar categories. If you are looking to find whether your chosen placement agency is legitimate, licensed, accredited and duly authorized by POEA or DOLE to post manpower pooling job to any country for any vacant position job offer. You can leave your comments regarding this concern and we promise to get back to you as soon as we could. Aside from the fact that here with us you can choose the type of job, your desired position and the accredited agency of your interest, you can also choose which country you prefer to work to. With our diverse listing from Asia, Middle East, Europe and the Americas, we assure you that the offers we will post are directly coming from the Philippine Overseas Administration (POEA), otherwise, we will inform you or specify if they are from somewhere else. What is The Meaning of POEA? This entry was posted in 2011, Abroad, Career Help, DOLE, Exam Results, Job Fairs, Jobstreet, Local, Resume CV, Trainings. Bookmark the permalink. good day po may hiring po ba sa saudi? may hiring po ba ng accounting staff-accounts payable clerk any country. May hiring po b s korea 4 factory worker for 2012 job opening? Panu q po b i search kung my hiring s korea factory worker? im mardoni bayot im overses filipino worker.as of now im working here in saudi arabia im working to the 5 star hotel. update po ng mga latest hiring sa abroad in 2012? i want to apply abroad what are the lastest offer job for dubai and singapore? i am really interested looking for a job. I WANT TO APPLY IN AL MARIE POULTRY DIVISION HERE IN RIYADH,I WANT TO KNOW IF U HAVE AVAILABLE POSITION AND STILL HIRING BECAUSE IM STILL HERE IN RIYADH SAUDI ARABIA..
hi,how can i apply in poea to work again in other country..i worked 3 years here in kuwait as a housekeeper…i hope u can help me..
CAN YOU PLEASE HELP ME FIND AN AGENCY THAT OFFERS A NO PLACEMENT FEE,,I;M AN OFW AND PERSENTLY HERE IN THE PHILIPPINES AND STILL LOOKING FIOR A JOB THAT HAS NO PLACEMENT FEE…..
hi…how can i apply to other country.i’m working at ksa as generator technician for two yrs.i want to apply in guam? Can you help me find a job that suits my courses. I graduated 2yrs course of office management i’ve work in different field in the past years after i graduated. Now i don’t have work and always rejected because of age discrimination. I am still single but 31yrs of age, i need to find a job coz i really want to provide my family’s financial needs and support thr study of my younger sister who wished to had their own degree in college. iI hope you will help me..
Hi.. I am first timer working abroad, and I will be working in riyadh k.s.a as waiter. I applied in 1 agency located in manila. They ask me to leave my Passport after interview and They offer me SAR 1500. i pay php 3500 for medical even i dont have any contract or proof that i am hired already, my question is Natural lang po ba na magbayad aq ng php 20,000 for processing fee as they said that i need to pay for including medical??.. Please need your response asap.. Thanks in advance!.. Hope pagtuonang pansin ang issue na eto! Im very much interested on seeking job order for abroad that suited for my skills as a laborer and manufacturing stage.I’ve finished 3 yrs experienced in Taiwan and 6 yrs. in South Korea. Hoping that you can find me a new job. Thank you and God Bless Us. Hi Mam /Sir, ask lng poh sana ako kung meron po kaung local job vacancies, gusto q po snang mag apaly bilang sales lady, or promodizer,,,im high school grad. only,,thank po. 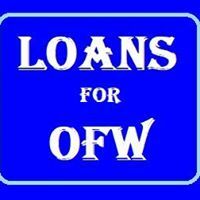 I want to apply abroad as factory worker I have an experience in philippines 1year and 8months…..please contact my no.09305514088 thank you.? Hi! Sir/Mam ask q lng po if may vacancies work abroad, kuwait, qatar, dubai & etch. IT grad po aq at STI. Computer Technician po aq. mam/sir hiring p po b s korea o taiwan nais ko po sanang mag aply as production operator 3yrs work experiences at any process slamat po.